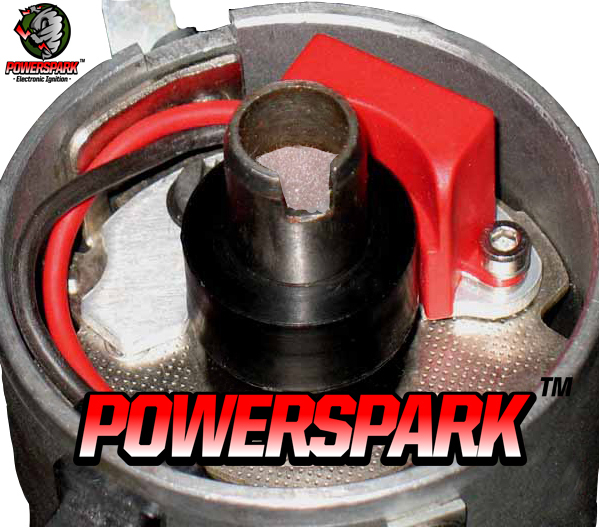 The Powerspark JFU4 Bosch 4 Cylinder distributor ignition kit gives increased durability and performance. Usually fitted to VW air cooled engines, Ford Pinto engines with the Bosch ignition system Volvo Penta and Volvo marine engines, please refer to the points fitted inside the distributor. Using copper HT leads without resistors can cause premature failures to any electronic ignition and this can void your warranty. Please ensure you have a negative earth car if you have the negative earth kit and vice versa. Ensure there is a good earth to the distributor, ignition kit and ignition coil. The Powerspark kit will operate on 6 volt or 12 volt Applications. Remove the points and condenser from the distributor. Check earth wire to ensure it is in good condition and not frayed or broken (replace if needed). 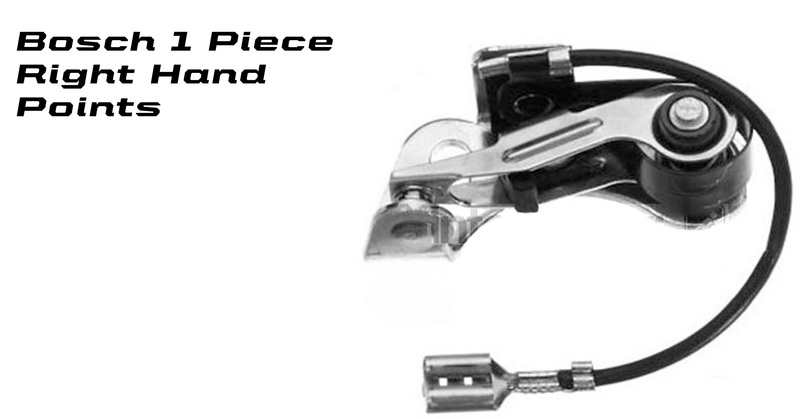 Place trigger ring over the central shaft ensuring a tight fitment do not force the trigger on. Run the wire around the back of the kit making sure they won’t snag when the distributor advances. Powerspark red wire goes to Positive (+ VE, SW, or 15) on ignition coil. Powerspark Blackwire goes to Negative (- VE, CB, or 1) on ignition coil. Make sure your live ignition feed to the coil is on the positive terminal only.